First light green and later white, this sedan was displayed at auto shows as a forerunner of one of Buick’s most important cars of the era. 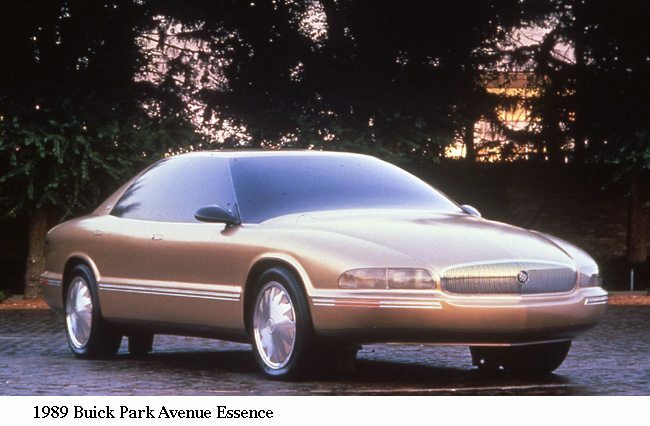 The 1991 Park Avenue Essence has graceful contours and instruments displayed in a wide, sweeping panel, and the Delco Navicar system navigation similar to Lucerne’s. Essence features the then-new 185-hp 3800 V-6.